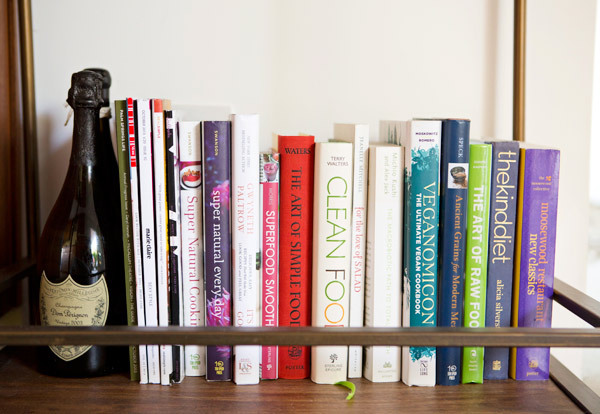 Love the idea of cookbooks on the bottom shelf! I love this! 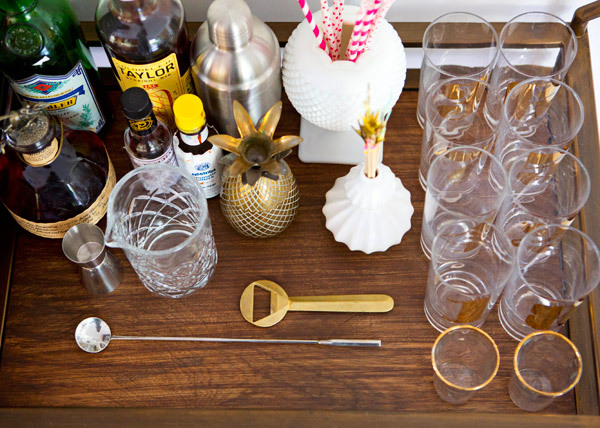 I have been looking for a vintage bar cart, but due to their popularity they seem to be hard to come by. 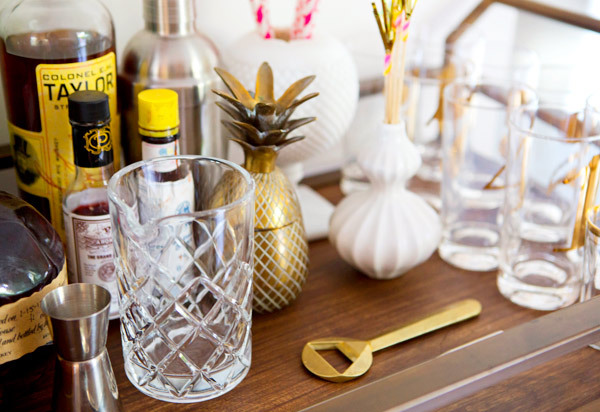 Even if they are a bit of a thing right now, I think that decorating them with interesting bottles and stemware can layer your space. Looks great! 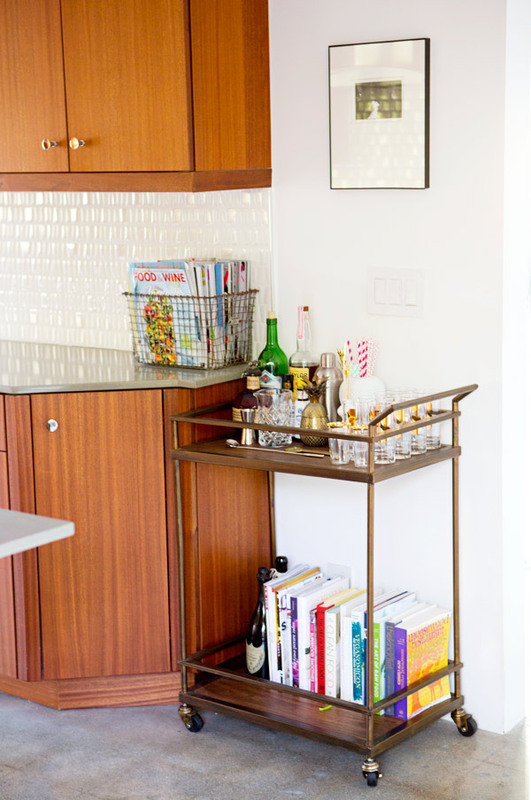 While I think bar carts are cute and great for small spaces, I've never gotten one, mostly because I didn't want to give up the bar my husband and I had made from an old tv cabinet before bar carts were popular. Yours looks great though and I love the little pineapple! I'm a huge fan of the Moosewood cookbooks too! 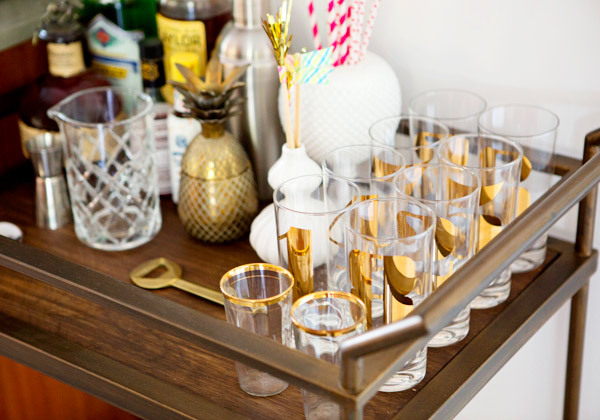 Love the bar cart. Where did you find those glasses. Thank Yael! The glasses are all vintage, found on etsy!